Samsung’s Galaxy A event is scheduled for April 10 and all eyes are set on the A90 with its supposed sliding-rotating camera module. New reports claim that the phone will actually be announced as the Galaxy A80. 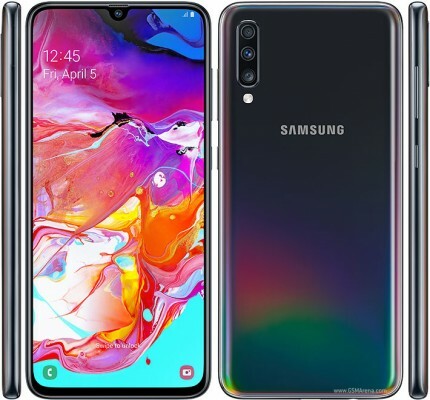 The other highlight will be the Galaxy A70 and its 20:9 aspect ratio screen and 25W fast charging capabilities – both firsts for a Samsung device. A third device, speculated to be the A40 is also expected to make its official debut. The heavily anticipated A80 is expected to feature a massive 6.7-inch FHD+ AMOLED screen with minimal bezels thanks to its unique rear top sliding mechanism. The phone is expected to feature a triple camera setup with a 48MP f/2.0 main, 8MP f/2.4 ultra wide and ToF sensors serving both front and back thanks to its rotating design. The Snapdragon 7150 SoC is anticipated to make its debut alongside 6/8GB RAM and 128GB expandable storage. The battery should have 3,700 mAh capacity and support the new 25W fast charging. In addition, the A80 is supposed to feature screen sound technology like the LG G8 ThinQ due to its lack of physical speakers. 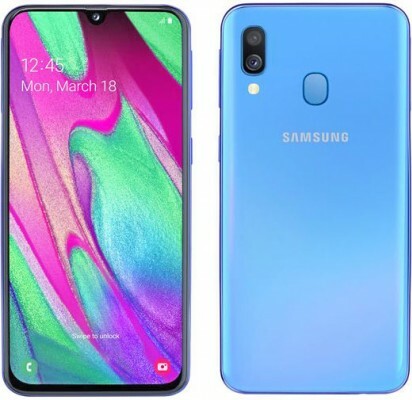 The Samsung Galaxy A70, was already official, featuring a 6.7-inch FHD+ AMOLED screen with an infinity-U notch for the 32MP selfie cam – the highest in a Samsung device. There is an in-display fingerprint sensor. Its octa-core processor is paired with 6GB/8GB RAM and 128GB expandable storage. The back sports a 25MP and 8MP camera combo with flash. The battery will feature a generous 4,500 mAh cell, capable of 25W fast charging. Last but not least the A40 will likely be the third phone at the event. Its speculated to feature a 5.9-inch FHD+ AMOLED Infinity-U panel with a 25 MP selfie shooter. It will be powered by the Exynos 7885 chipset and feature 4GB RAM and 64GB expandable storage. Around the back 16MP (main) and 5MP (wide) sensors will be paired with the flash and fingerprint sensors. Battery wise the device is expected to come with a 3,100 mAh cell with 15W fast charging. The April 10 event will be held simultaneously in Bangkok, Milan, and Sao Paulo so tune in Wednesday for more info on Samsung’s latest devices.